It is so easy to add in meatballs to most vegetable soups, it turns a light soup in to a entree soup. I love using many different fillers in my meatballs from oatmeal to quinoa. 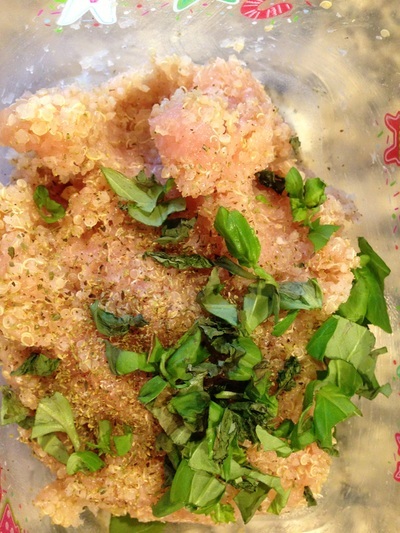 Of course you can resort to your grandma's version and use bread crumbs but let's healthy it up some! 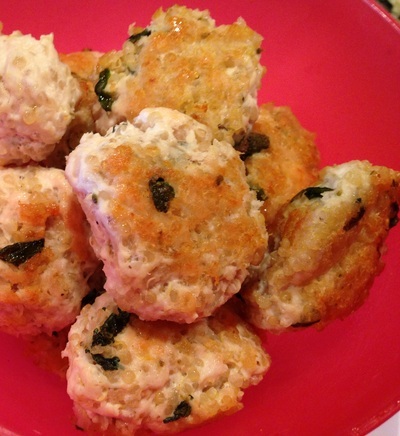 Quinoa adds just the right amount of crunch and is my favorite ingredient in meatballs. In mixing bowl add ground meat, cooked quinoa and fresh herbs. Using your hands mix ingredients well. 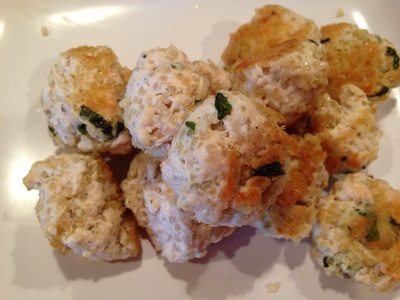 When adding meatballs to soup you have a few different choices with crispy meatballs of soft meatballs. If you want a meatball with a crust you will use your frying pan with a drizzle of olive oil and brown all side of your meatballs before dropping in soup. The meatballs you see on this page have been browned. I will sometimes make a batch of meatballs, fry them and put some away in the freezer to drop in to a soup at another time. This is such a time saver for the next time you need meatballs for your soup. Having meatballs on hand for your next batch of soup is such a timesaver, so make a double batch and pop half of them in the freezer. You can drop them in the future pot of soup frozen or defrosted.